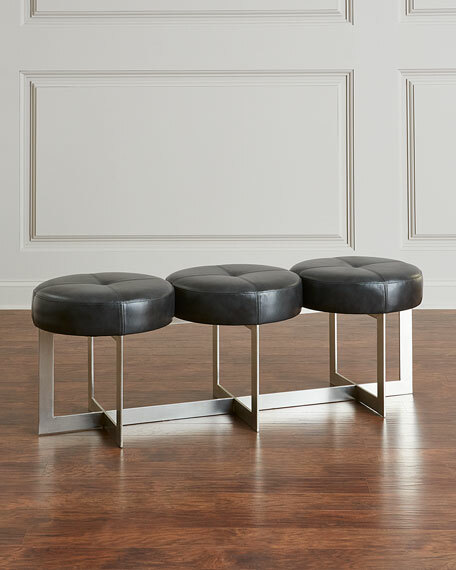 A modern three-seat bench with individual seat pads. 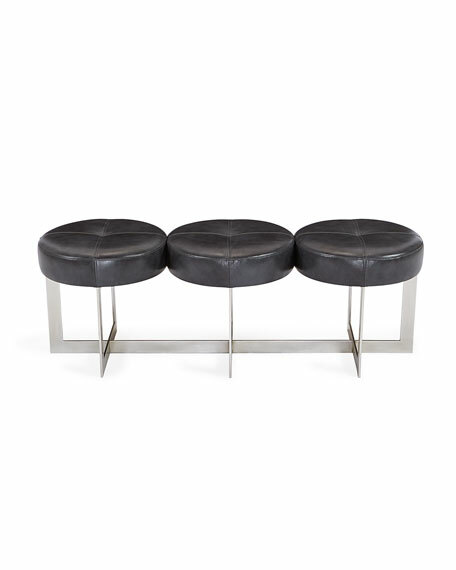 Upholstered in charcoal leather and exposed stitching. The wrought iron base is finished in modern silver. For in-store inquiries, use sku #2481720.